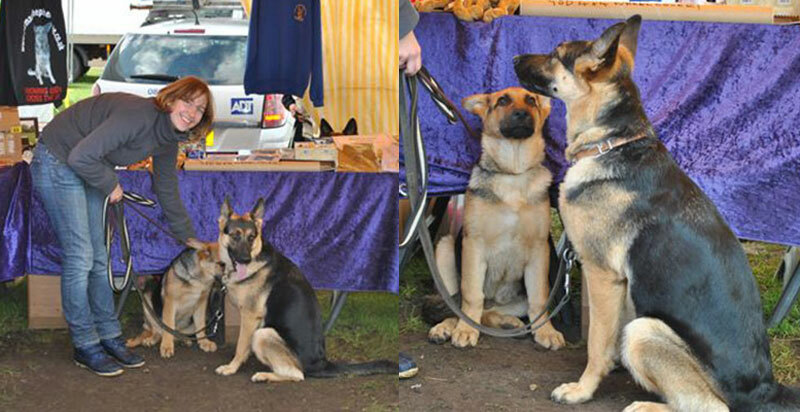 This was the first fund raise for these two young puppies who were very keen to help. Scooby promising to be a good boy and Tig looking after Ollie Murs who thinks this is a bit of a good game. Ron counting all that lovely money he raised from the Name The Dog competition and volunteers busy collecting cusotmers for the GSDR stand. It's been a long day, everyone geting tired now. Wow, you do meet some strnage things on these days out. Time to go home yet? We are bushed!! Once again a magnificent effort from German Shepherd Dog Rescue volunteers who give up their time to help raise money for the rescue so that we can help more needy dogs. The Team Raised £450 on the day which added to the amount raised from the Suffolk Show, means the teams raised over £1000 in 2 weeks.